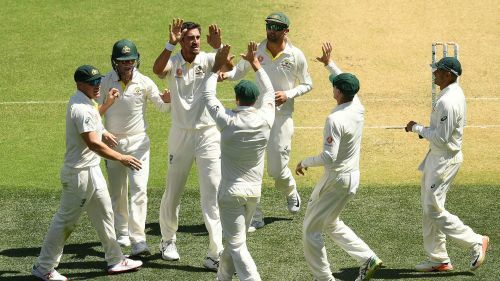 Mitchell Starc was delighted with Australia's bowling on the whole on the opening day against India but acknowledged a poor finish let the tourists back into the first Test. India were 86-5 just after lunch as the hosts took complete control, before Cheteshwar Pujara's 123 ensured his side ended the day on a respectable 250-9. "I think we've planned and prepared really well for this week and had a lot of vision to look at [in terms of] how India have played in the past," Starc said. "But I think if you asked us at the start of the day if we'd take losing the toss and [India] being 250-9 at stumps, we'd bite your arm off."